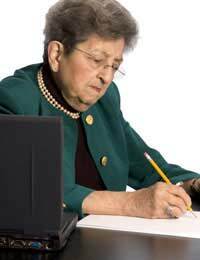 Age discrimination, sometimes also referred to as ageism, is very often unnoticed or ignored in the United Kingdom. Though ageism is a term that is usually used to discuss discrimination against people of all ages. Regardless of age, every human being should be treated equally and anything less could be considered age discrimination. Age discrimination is a relatively new concept, with the term "ageism" only coined in the mid-20th Century. Legislation to protect the rights of all citizens, regardless of age, is even newer. The Employment Equality Act (Age) Regulations 2006 protects people aged 50 and over from being discriminated against in the areas of employment and education. These Regulations discuss age equality in the hiring of new workers, how workers are treated in the workplace, and age equality in firing, redundancies and retirement (as well as the educational equivalents). Employment equality for younger workers is dealt with in other legislation, and educational concerns regarding young people are often dealt with on a case by case basis at particular educational institutions. Many age activists remain dissatisfied that this is the only encompassing legislation on age equality and continue to push for further measures to outlaw age discrimination. In addition to age discrimination in employment and education, age discrimination can also be prevalent in consumer and healthcare arenas. As consumers, both older and younger people can be treated disdainfully. Lower levels of costumer service, being tracked by security personnel, receiving exorbitant or even being denied insurance quotes, being denied credit or "new customer" credit packages and/or being targeted by harassing salespeople can all be forms of age discrimination for consumers and there is little regulation of these practices. Unfortunately, healthcare can also be an ageist arena. Being denied a referral to a consultant, comments about age, a belittling or patronising manner, having decisions made for them, being denied pertinent information for decision making and/or feeling bullied into decisions can all be symptoms of ageism in healthcare. Again there is little regulation of these practices, though if an individual does have complaints about the NHS or a member of NHS staff then (s)he should contact the Patient Advice and Liaison Service to formally register it. Age discrimination is currently being fought at a variety of levels across UK society. At the governmental level age discrimination is being fought with legislation such as the Employment Equality Act (Age) Regulations 2006. On the organisational level, groups such as Age Concern (www.ageconcern.org.uk) agitate for age equality. On a more personal level, every time an individual reconsiders a stereotype of an older (or younger) person, speaks out against discrimination based on age, gets to know older (and younger) people in the community, ceases to make jokes or pointed references to age and ability, tells others that such jokes and references are unacceptable and does all that (s)he can to learn from the talents of each individual, regardless of age then age discrimination is also being fought. Gentlemen. Age discrimination for credit applications or for company cards is a total disgrace to humanity. Banks and establishments receive our money. but deny us from any kind of credit. This is totally unfair and unlawful, and yet companies and Banks and stores continue this practice. We, as a significant group of citizens, should organize and stop doing business with these entities. Is there any organization doing anything to stop this practice ?